Dimensions: 12" from the clasp to the bottom of the lillies. The width is 3 1/4" from bird to bird, and at the bottom of the frame where the water lilies are hanging it is 4 1/4" wide. Description: This is a piece I have been dreaming about for a long time. 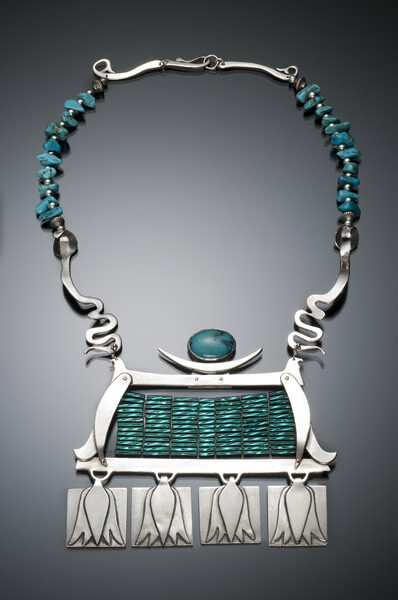 I am very attracted to ancient Egyptian artifacts, and I have always wanted to make a pectoral – a large necklace that sits on the chest. 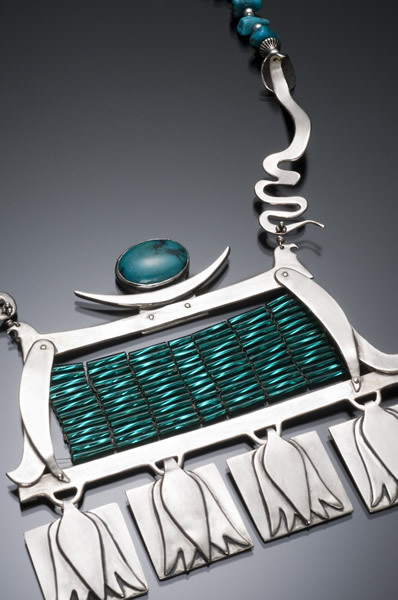 My pectoral incorporates a number of elements found in ancient Egyptian jewelry including birds, snakes, water lilies and the moon, as well as turquoise gemstones. 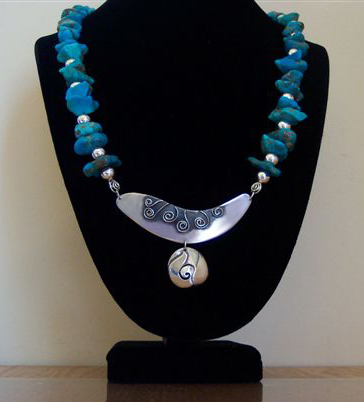 I added glass beads as an extra embellishment because I wanted the color and the reflections of light that they offer. 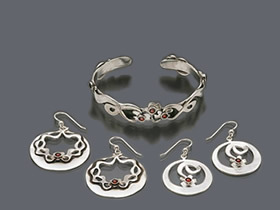 The specially designed clasp is easy to fasten and is made of sterling silver, as are the beads. The necklace is meant to sit high upon the chest, with the cobra’s heads looking out at the collarbone. I will make any alterations needed to create a perfect fit.